It’s no secret that sleep is important. We’re all familiar with the exhaustion that hits when we don’t get enough sleep the night before. But while getting ample sleep is important for absolutely everybody, it’s particularly vital when it comes to our children. Recent research has shown that sleep deprivation can have a swift and significant impact on child development. In fact, Dalhousie University in Nova Scotia found that the repercussions of sleep deprivation are visible in children after only 4 nights of 1 fewer hour of sleep per night. But why is sleep so important for our little ones? We’re going to explain. These are the main benefits that sleep has for children. Data shows that sleep can protect children from vascular damage as a result of circulating stress hormones and damage to cholesterol. 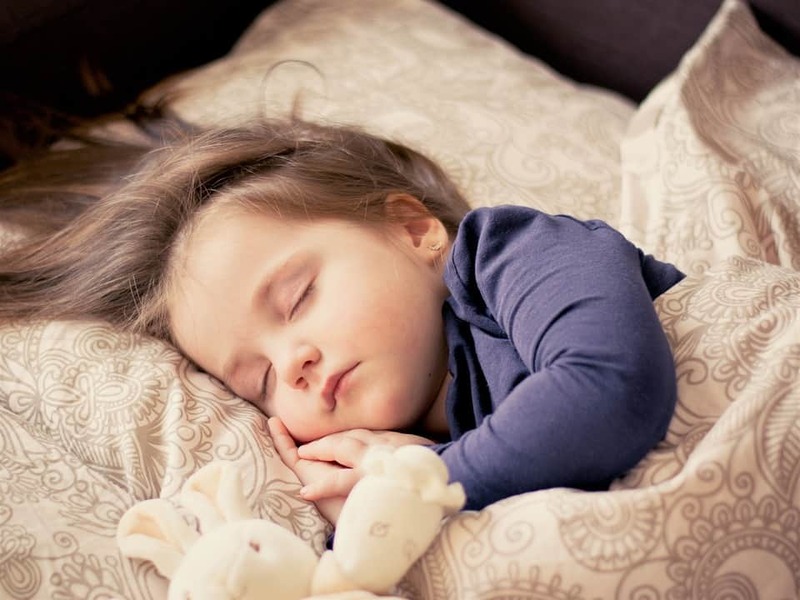 Sleep is essential for healthy growth in children, as growth hormones are primarily secreted during deep sleep. As such, babies tend to spend about 50% of their time in deep sleep, during which time their bodies grow and evolve. Italian researchers carried out a study on children with deficient levels of growth hormones, and found that, on average, they sleep less than other children. When we sleep, we produce cytokines. These are proteins which the body uses to fight infection, stress and illness. They can also make us feel sleepy, which is why we feel so exhausted when we have a cold or flu — our brains are telling us to rest. Too little sleep can impact the number of cytokines available, and research shows that adults who sleep 7 hours or less per night are up to 3 times more likely to develop a cold than those who sleep 8 or more. Data on young children is limited, but studies on teenagers show that longer nightly sleeps reduced the number of reported bouts of illness. When we feel full after eating, our bodies produce the hormone leptin, and this signals us to stop eating. However, research shows that sleep deprivation can inhibit our production of leptin, meaning children who are tired are more likely to just keep eating. Our eating habits (and the eating habits of our children) are also impacted by a lack of sleep, as children, like adults, tend to crave foods with higher fat and carb values when they’re tired. Sleep-deprived children are also more likely to move around less, meaning they burn fewer calories. Sleep doesn’t just impact our kids’ bodies, it affects their minds too. Researchers at Columbia University Medical Center found that newborn babies are actually capable of learning in their sleep. They were played soft music and then given a gentle puff of air to their eyelids. After 20 minutes, the newborns were already anticipating the air by squinting when the music played. Another study by the University of Massachusetts Amherst taught 40 nursery-aged children a game called memory. One week, the kids took a nap averaging 77 minutes. The next week, they didn’t take a nap. When they stayed awake the children forgot, on average, 15% of what they had learned, but they retained everything after napping. Ensuring your kids get enough sleep every night may not be easy, with many parents working long hours and a host of tempting electronics to hand, but it’s clear that making the effort is vital. A healthy night’s sleep is a key step to a healthy, happy child. A Mammoth mattress uses award-winning Medical Grade™ Foam and PostureCell® technologies to provide a good night’s sleep. Find your nearest retailer today by using our Store Finder and test drive a Mammoth for yourself. This entry was posted in All Articles, Expert Advice, Sleep Science and tagged children, children and sleep, children health, children sleep, how much sleep do children need, how to help children sleep better, how to help kids sleep, kids and sleep, sleep for children, why do kids need sleep, why is sleep important for children.